I hope all of you in the US had a safe and happy Fourth of July! Did you get to see some fireworks? It’s been SO dry here, many local towns postponed their fireworks, so we headed downtown to the arch. We only head downtown for fireworks every few years, but I highly recommend it if you live in the area or are visiting St. Louis. They put on such a beautiful display, but make sure you have a full tank of gas when it’s time to go home! We spent an hour and a half trying to get out of the parking garage! We were a bit worried about leaving home to watch fireworks, because Cullen, our Yorkie, has thunderstorm and fireworks anxiety. So much so, that it worried us to leave him home alone on the 4th of July. So, I did what I often do when I have a question……..I took it to facebook! I asked if anyone had suggestions for a dog that’s scared of fireworks………and boy did I get answers! But the one answer that came up again and again was the suggestion of a Thundershirt. I had never heard of them, so I quickly went to find out more. The Thundershirt uses gentle, constant pressure to calm your dog, effectively aiding anxiety, fearfulness, barking and more. It’s a soft, sturdy stretchy material that you wrap around your dog and use the Velcro strips to adjust it for a snug but not-too-tight fit. Over 80% of dogs show improvement. Check out Thundershirt.com for more information and videos. There were a few nay sayers on Facebook and a few online reviews, stating the Thundershirt did not work for their dog. But, they do come with 100% guarantee, so I figured what do I have to lose? You can purchase them online, but Petco and PetSmart cary them as well. I paid $40 for Cullen’s, and Petco assured me I would have no trouble retuning it with my receipt if it didn’t work. We tried out the Thundershirt that evening, since there were some fireworks going off around our house…….and I have to tell you, it worked like a dream! Cullen did not pant, shake or pace, he simply sat on my lap and even laid on the ottoman near me! He instantly seemed more relaxed, almost dopey. So, we left him at home on the 4th in his Thundershirt (with the TV and fan on) while we went to watch fireworks. When we got home, he seemed fine, no evidence that he had been stressed. Today, a few people were shooting off fireworks, which went off rather suddenly in the middle of the day. Cullen was panting and shaking in my lap in no time. By the time I got the Thundershirt and put it on him, he was quite worked up and seemed to take a little longer to calm him down. He did continue to shake and pant with it on, although not as severe, and he did eventually calm down even after a few more pops! So I think it may help to get it on him before he gets too worked up if you can. We’ve only had the Thundershirt for 3 days now, but so far I’m impressed and have no plans to return it! Although, I am debating about exchanging it for a size up. Do you have a dog with anxiety? Have you tried the Thundershirt? Cullen has travel anxiety as well, and goes to the groomer once a month, so I can’t wait to try it in the car. This is not a sponsored post, I just wanted to share something I was really excited to find out about and thought I’d share! I should probably have my Golden wear that all the time. LOL, she’s anxious if I walk away from her. 🙂 Thanks for the party Cheryl! Thanks so much for hosting, Cheryl. I hope you have a great weekend. Thank you so much for hosting!! Great looking fireworks! I’ve never heard of that – how interesting! It makes me think of how babies are comforted when they’re swaddled. 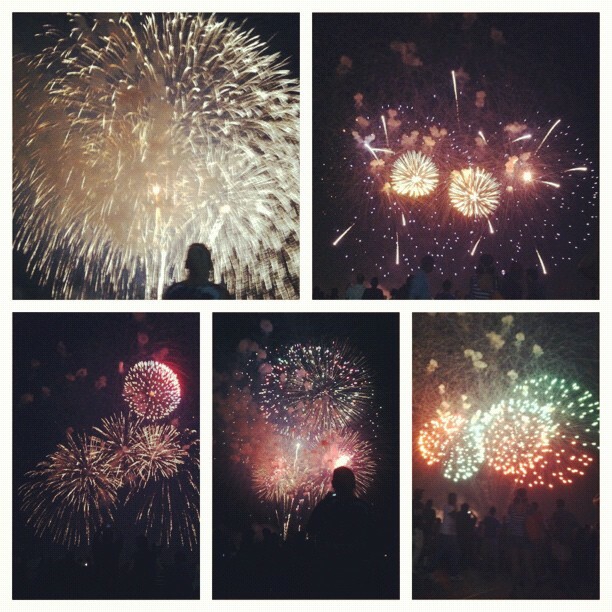 Great fireworks pics! Thanks for hosting! I am so glad the shirt worked! It reminds me of weighted blankets that are helpful for children with sensory problems or other issues. We used to go to the Arch every year, but then we started going with family to Kirkwood. Their fireworks were way better than the Arch! When we had kids, we started looking for something closer to home. We now go to Chesterfield for the last 7 years. We love them! They are really good and it’s easy to get home. I missed them so much this year. I had thought of going downtown, but it was just so hot we decided to stay home. we used to go to Kirkwood when my parents lived there, you’ll have to tell me where in Chesterfield you guys go. Nice! I love reading success stories about the Thundershirt! We have a staff terrier who had really bad separation anxiety. He would chew things, like, our hallway carpet (seriously!). A friend recommended the shirt, so we tried it. He has been an angel since! (Almost a year now) I am SO pleased with this shirt, I recommend it to all of my dog owner friends. Glad to see its working for you too! That’s awesome!!! Like I said, I can’t wait to try it in the car too! With the money back guarantee it’s a no-brainer!! We are just thrilled with how it worked! We don’t have a dog now, but I remember one 4th of July when I was 10 years old. We had an English Bulldog back then (who was not anxious, just very protective of our house). He was in the garage at the time, but when the fireworks started going off, he was quiet, but 3 neighborhood dogs came to our front door and started scratching. We opened the door and they all came in! We like to joke that our dog invited them over if they were scared. Glad that the Thundershirt seems to work. Thanks for hosting! Our black lab, Riley is a perfect traveler, but fireworks really scare her! She was trying to hide under my legs, all 70 lbs. of her:) I’ll have to try one of these before the 4th next year. Sounds pretty impressive. 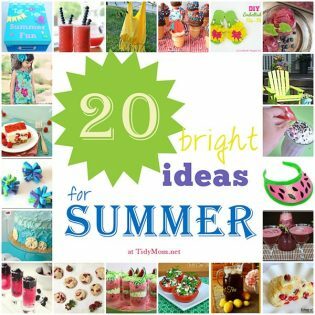 Thanks for hosting a fun party every week! does thunder bother her Sue? let me know how it works if you try it! Thanks for hosting first of all! But thanks for this product! My Jack Russell is so afraid of storms and fireworks, and the smoke alarm when we change batteries, and balloons.. the list goes on. But if I could help her in any way I would. This is a good price. And you Cullen didn’t mind wearing it? no, he doesn’t mind wearing it at all, but he is used to wearing a little coat outside in the winter time, and that doesn’t bother him either. i have a thundershirt for one of my middle furry child because of her anxiety during thunderstorms and fireworks. it works like a charm. before the thundershirt, she would shake and pant uncontrollably during thunderstorms and fireworks. now, she curls up and goes to sleep w/ the thundershirt. it also helps my youngest dog calm down during stressful situations (the vet, meeting new people, etc). it’s amazing how it relaxes them isn’t it?! I have never heard of the Thundershirt Cheryl and have an English Bulldog paralyzed by the sound of thunder. She won’t eat and can’t stop shaking. Would be interesting to try this out. Great discovery! Will do! How on earth did we survive before the internet and social media?! So glad to hear we were able to help your pup, thanks for sharing your story!! We’ve seen the infomercials and have wanted to puchase two of these. We just wondered if they would work for our big babies, both weighing over 80lbs. The little rolling thunder freaks them out, and fireworks? This week has been a nightmare for them! I didn’t realize they were 100% guarranteed though, interesting! Thanks for hosting Cheryl! Off to do my #RFR5k!!!! On the thundershirts, yes, they work for any size dog, so give them a try!! My Yorkie-Maltese mix pups definitely have serious fireworks and storm anxiety. I’m thinking I need to pick a couple of these up! Thanks for sharing, Cheryl. 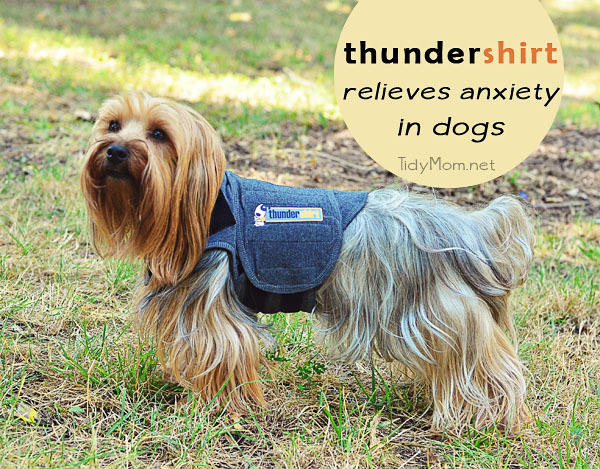 The thunder shirt is such a great idea for dogs! Thank you so much for posting about this! I doubt it’s available in the UK, but we are travelling to Toronto & Buffalo next week and I’ll be keeping an eye out for one there. I have a little Yorkie as well and she is terrified of fireworks and thunder. I too worry about leavin her at home during these times as I’m afraid she won’t be alive when we get home. She’s also got severe separation anxiety so I’m hoping it helps solve that as well. Thanks very much for sharing this product with us – I love it when people post about their favourite things just because they like them – not because they’re getting paid. could that be any cuter, Cheryl??? How great! I will need to check this out, our Golden is pretty bad in the car and I really miss taking her with us on short rides. If this helps she could go with us all the time like our other dogs always did. Can’t wait to see if it works for her and thank you for sharing this, I had never heard of this before. We just got a dog, and I was worried about how he would do around the fireworks, but he didn’t seem to care much about them at all. I guess they all have their own personalities! Glad the Thundershirt worked out for you! I’m so glad you found this to work. I don’t know if my dog would go for it, but maybe I’m wrong. Looks great. This is awesome. I had to dope Mason with Rescue Remedy and he was still pretty jumpy with his first Fourth of July. This looks like a great option, although I somehow doubt it comes in 200 pound size- however I will check! I really need to get one these for our Aussie. She was a nervous wreck will all the firework shows going on. Thanks for sharing! I was wondering how much Chester weighs? What size Thundershirt did you originally buy? I have a 14lb ShiTzu that might benefit from something like this in the car and with company. Thanks! Cullen weighs 12 pounds so I bought the XS but his chest size is 17″ so he could possibly fit in the S – it just seems like the XS isn’t long enough for him. Thanks so much for the review! I’ve just been talking to a worker at my favorite animal rescue/thrift store about the Thundershirt. I have a 6 1/2 year old rescued Coton- she live 6 years in a breeder’s cage… clean, loved and well cared for, but STILL… in a cage. None of her puppies survived so after her 2nd c-section we were able to bring her home for a “reasonable” price. Anyway, after a year and a half with us she is beginning to thrive. She hates thunder and lightning. She shakes and shivers and keeps her daddy up all night lon- and it is rainy season here in Fla. now. So I had heard about these shirts somewhere… will try anything at this point. Deva also said she would like to try them as she never knows what some of her rescue dogs have been through before she gets them and might find them helpful. Didn’t think to check Petco or Pet Smart, but will head there tomorrow! Thanks!!! 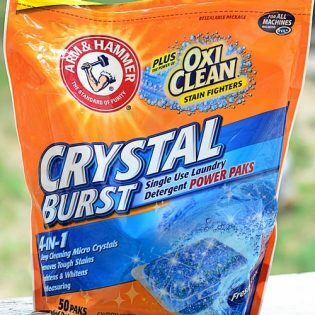 We saw the commercial and were wondering if these really worked or not 😀 Love that you did a post! Hey Cheryl! I have been researching the Thundershirt for our Sheltie Tucker for about one week. I have decided that we are going to give it a try. Tucker gets anxious at so many things that I am hoping it works for some of them. Right now we have to drug him when it storms & I hate to do that. Thanks for posting about Cullen’s success with the shirt. Oh wow that is so neat. I bet my cousin could use a couple of those right now for her dogs because of the storms where she’s at. My sister bought that for her dog and it was perfect for settling him down. This is an amazing find! Our dogs would run away every year without fail during July 4th no matter what we tried to do. I wish I had known about this sooner! What a great idea. Thank you so much for sharing-this could save a lot of lost dog scenarios this season! I tried this shirt with my dog, she was a licker. It took about a month but it did work! Better than anything else and I have tried everything! Good to know it works for fireworks as well as thunder. Our westie is not quite keen on either. She barks back at them. The kitties aren’t fans either. Do they come in cat size?